This is one of my personal Best Books of 2014 and Frank Wheeler Jr, in the space of just two novels, has become one of my favourite authors. Here he delivers another vicious and vivid slice of American noir, exposing hard-faced truths which hide behind the acceptable apple-pie façade. Wheeler creates an authentic, bitter and gritty reality as he explores corruption and the narcotics industry in small town America. In a taut, twisted, no-holds-barred narrative he debates the hard choices made by those entrusted with keeping a lid on civilised society, and the appalling acts that this responsibility leads them to commit. He delivers memorable, three-dimensional characters who leap off the page and stay with you for weeks afterwards. The Good Life is populated by men of extreme violence and bluntly brutal straightforward methods, who would die to defend family ties but will go to ultimate extremes if betrayed in love or loyalty. Women who ruthlessly exploit the weakness of the men who desire them. The fragility of the relationships they share is shown with pinpoint clarity and is beautifully nuanced, with Wheeler using the hard-boiled narrative as a vehicle to explore the darker fringes of trust, honour, dedication and devotion – holding our attention throughout with the threat of bitter betrayal and rapid revenge. It’s spell-binding stuff, told with some flashbacks which tightens the already fast-paced plot. There are some genuine shocks and many violent interludes as the story unfolds, and no certainty at all that Earl, the compelling central character, will make it through to the final pages intact. Wheeler’s previous novel, The Wowzer, was kinda hard to get in to because of the style in which it was written. 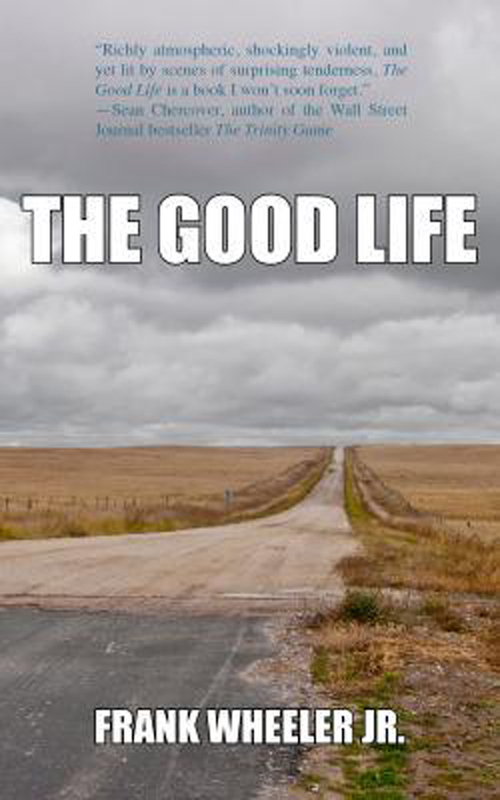 The Good Life is no less accomplished but much more accessible and if you’re going to try this author then I recommend you start here. Hard-hitting, sharp-edged; inventive and delivered with the stunning impact of a sucker punch. Can’t wait for Wheeler’s next effort.